Civil Society Representatives commend the commitment of the UN Office of the High Commissioner for Human Rights (OHCHR) to actively engage with Fiji and Pacific human rights defenders and civil society actors in putting human rights at the heart of their collaboration in accordance with the UN Charter. 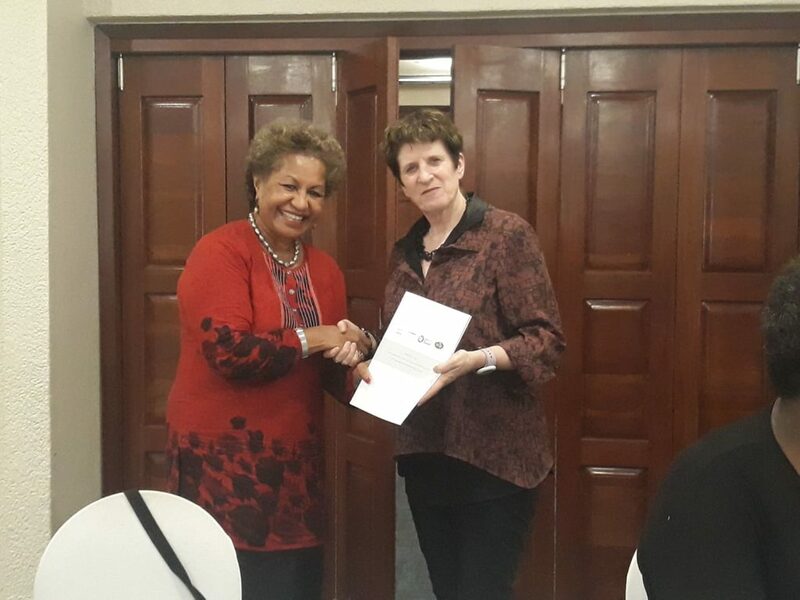 This was after Deputy High Commissioner Human Rights Kate Gilmore met with activist human rights defenders and representatives of Civil Society Organisation on Tuesday for an open and frank dialogue of the state of human rights protection and violations in Fiji and the region. Pacific Islands Association of Non-Governmental Organisation (PIANGO) Executive Director Emele Duituturaga handed the Deputy High Commissioner Human Rights Kate Gilmore a joint submission put together by CIVICUS, Fiji Women’s Rights Movement (FWRM), Citizens Constitutional Forum(CCF) and PIANGO to the UN Universal Periodic Review 34 th Session of the UPR working group for the upcoming Fiji UPR in November. “It’s an extraordinary experience to listen to your courage, your stamina and how profoundly loyal you are to the future of this country and the region, “Gilmore said. “In your hands, you have here, a condensed, immediate and high pressure version of the largest challenges the world is facing,” she added. Pacific Islands Association of Non-Governmental Organisation (PIANGO) Executive Director Emele Duituturaga handed Gilmore a joint submission put together by CIVICUS, Fiji Women’s Rights Movement (FWRM), Citizens Constitutional Forum(CCF) and PIANGO to the UN Universal Periodic Review 34 th Session of the UPR working group for the upcoming Fiji UPR in November. The report, according to Duituturaga is based on evidence collected over a period of time monitoring Freedom of speech, Freedom of Assembly and Freedom of Association which are the fundamental rights affecting the enabling environment for civil society actors. Gilmore said there’s a deterioration in speaking the truth and dealing with facts and she thanked CSO’s for their leadership and conviction to speak out. “I hear you, I hear your frustration and I ask you to keep going, we need you and the world needs you and more importantly the people of Fiji and the Pacific need you and you must not forget that you will need each other in that exercise, “Gilmore added. Meanwhile, Duituturaga said while it is recognised that Fiji is the first Pacific Island nation tow in a seat on the UN Human Rights Council, this calls for greater accountability and closer scrutiny that Fiji is walking its talk as a champion of Human Rights at home as it is saying in Geneva. “We are geared up for the Fiji November UPR,” Duituturaga said. “It will provide the opportunity to spotlight the unwarranted restrictions on civic space since its last UPR examination, particularly in relation to the freedoms of peaceful assembly and expression”. Gilmore, began her official visit to Fiji on Tuesday to discuss the human rights situation in the country with authorities, human rights defenders, representatives of civil society, U.N Agencies and the international community.